Live Online Classes (+ class recordings) designed to increase flexibility, reduce pain, and tighten and tone so you can become your best YOU yet! Click NOW to gain INSTANT Access! Are you ready to create your best body ever with an expert personal trainer from the comfort of your own home? Get better results with LESS TIME and LESS EFFORT. You deserve to have a healthy, toned body that serves you for as long as it possibly can. Sadly, most women believe the only way to have the body they desire is through hard, exhausting workouts that require us to go to a gym and workout for hours. Do YOU have the time (or DESIRE) to stop what you are doing, leave the house, fight the traffic to go to a sweaty gym, exhaust yourself and then come all the way home again. Yes! YOU can have personal instruction right in your home from an experienced professional personal trainer. Join me in my online studio where we meet in person online (super easy to do) and I help YOU transform YOUR body. These aren't just YOU watching me. I can see YOU and YOU see me. It truly is just like being in the same room together because...we are! Then after class, you can ask questions, hear how this membership is transforming the lives of the other community members. Many have told me the after session time is the best time of their day! If the class schedule isn't convenient on some days...I still have you covered. You'll be able to come into your secure portal and watch the day's classes recorded! 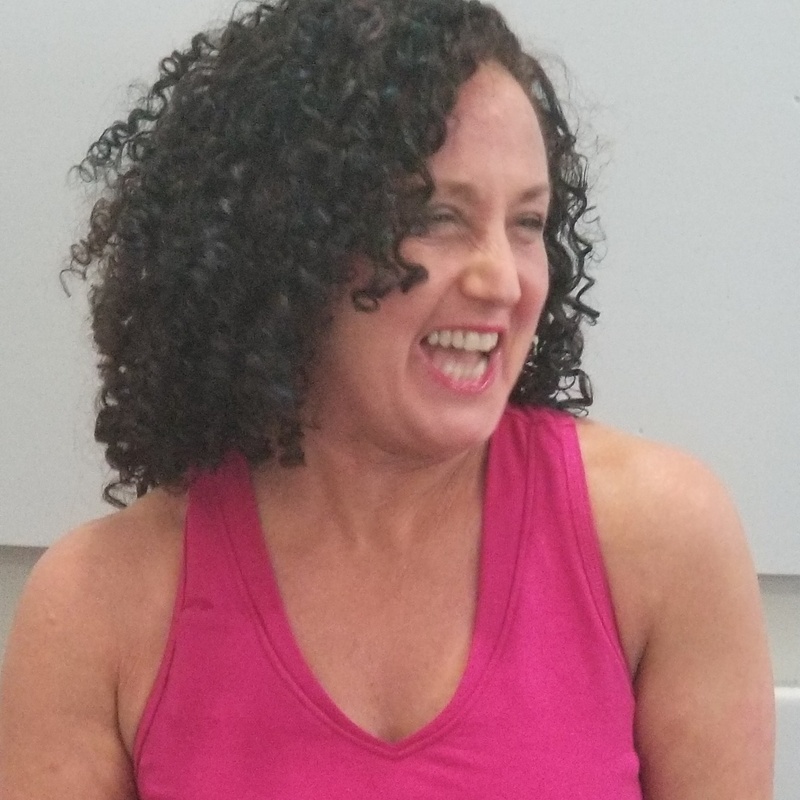 All the Live Classes With Renee (at least 30 classes per month) - Classes include "Relax and Release" Stretch Classes, Stretch and Sculpt Classes, Floor Classes, Stretch and Stride (Walking) Classes! After session talks - Ask questions, get support from the community... all in the privacy of your home. But, when I act now, I get instant access to everything for only $119! Personal training with me is $85 per hour. If you want 3 times per week, that would be $255 per week or $1020 per month. In this program, YOU get personalized instruction from the privacy of your own home. How to Get the BEST results from this package! 1 4 24 minute stretch after standing class. Hip opener, spirals, back stretches. 3 1 20 min floor stretch - began with lower back and ab stretches with roll down, arch/flatten sit ups (powerful), SI release, Cat cow and done! 3 14 25 min stretch flow - Lighthouse and clock. Powerful 1 2 punch! 3 25 20 min flow - roll downs, arch/flatten sit ups, psoa's release, clock, cat/cow/spirals and done! 4 6 60 min gsy - spine release, spirals, side shoulder/hip, full cat series, clock, scan! 2 22 33 minute standing. Did a big stretch series and then went to back stretch, plies, twist, side stretches. We then stopped and did a "side series" floor class . Look under floor classes to find it! 3 9 30 min standing. Nice slow warm up to our "Caribbean spine" series, side lunges, twists, hoe downs. Stretch and Stride (walking classes) - classes that include the walking! How to get more out of your walking workouts- Instructional! 12 19 41 min. Stretch and Stride - nice warm up with squats and off to our walk. 12 28 38 min stretch and stride - began with a nice warm up including squat series and off for a great walk. 12 29 35 min. stretching and on to the walk. 1 9 Walking class! Nice warm up with our squats to calf/hip stretches and off for a nice long walk. Relaxed releases at the end! 1 12 38 min. Stretch and Stride class! We began with a short warm up including squats and lower legs and then off we went for a great walk. We worked it all. Hope you enjoy it! 1 16 35 minute Stretch and Stride..and more stride than stretch in this one. I enjoyed this class and hope you do too. Nice combo of stretching and then walking and then stretching. Enjoy! 1 23 35 minute walking. Did some stretches with calf/feet/hip and squats and then off for a good walk. Enjoy! 1 26 35 minute walking class. Began with some good stretches and off we went for our walk. Enjoy! 1 30 38 min walking - stretch series and off for a good aerobic walk! 2 2 35 minute walking. Began with a warm up, then squat series and off to a nice walk. Lots of form tips for walking in this class! 2 6 35 min walking. Started with a brief warm up and off we went into our walk. Lots of intervals in this walk increasing heart rate and bringing it back down. Ended with a nice stretch series for feet,legs and a new flow for whole back of body. 2 13 walking. walking warm up, stop for a stretch of feet/calf/hip with squats, off for more walking! 2 23 33 min walking, Warm up, squat/calf/ hip stretch, off for a good walk. Stretched after. Enjoy! 3 16 Walking - nice warm up and off for a walk. Good brain/body moves in this class! 12 6 This 19 minute floor class began seated with some neck/back/spine stretches, crab claws seated, hip stretches, on to our sides for side series. 12 13 This 17 minute floor class began with a neck stretch, back and spine stretches and off to Pretzel Twist. Front stretch to end. 1 3 15 minute side series on floor. Melt away those side saddles, hips, waist...you might need your cushion for this if you can't lie on your side. 1 8 20 min floor - roll downs back stretch, on back side stretches to ladybug. 1 10 20 min floor, roll downs for back and belly, groin stretch, ladybug stretch to the full bug. Feel your hips melting away! 1 15 26 min floor work - Neck stretches, 3 part back strengthening, roll downs, slowed down arch and flatten and added upper body for sit ups, lower ab strengthens and done! 2 22 18 minute floor class - full side series and ended with a hip release and spiral! Feel your side saddles melting away! 4 1 15 min floor - complete side series for hip, thigh melt! 4 12 14 minute! floor - roll downs for ab and back, floor for hips and abs with ball between the legs and under sacrum. 4 16 15 min floor with BALL! Began with inner thigh stretch and pelvic rolls, Roll downs, side rolls, on back with ball under tush for legs and core work! Ended with a seated spiral. 4 17 20 min floor - extended linear stretch, in/outs, floor with ball under tush for leg/ab work. Ended with cat/cow/spiral, dog and done! 4 18 16 min floor. Extended linear stretch, arms up to a W, in/outs, ladybug! Short but powerful floor workout! I'm So Much Calmer And I'm Sleeping Better. In just 3 classes, I found The Pain In Both Places Was Completely Gone. I loved being able to do these classes right in my living room and not having to go out and fight the traffic. These Stretch Classes aren't like "exercise". These Stretch Classes aren't like "exercise". I find them to be more like moving meditations. The slow, thoughtful movements put me into such a relaxed state. I can tell my nervous system is calming down and my sleep is so much better on the days I'm in class. Who wouldn't love to get on the floor with their favorite pillows, relax and transform their body? I have a new addiction...Relax and Release Stretch Class! Who wouldn't love to get on the floor with their favorite pillows, relax and transform their body? I'm in! I start out thinking I'll just do 10 minutes of the Stretch Class and before I know it...50 minutes has gone by. I feel relaxed and ready to take on the rest of my day. I've Been Able To Get A Good's Night Sleep! Ever since I started taking the Stretch Class, I've been able to get a good nights sleep! I can now feel how much more relaxed in my body and my nervous system is responding. I never expected to experience this great benefits.